30 Stunning Engagement Rings for Men That You Can't Miss! 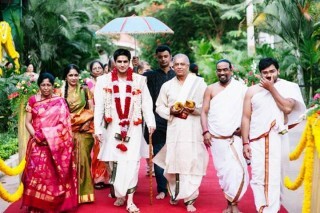 An engagement is a symbolic start to that life time of journey as man and wife. For a couple, the ring serves as a thoughtful reminder of the promise and the journey that they both shall undertake together, as one. Just as you are, your ring has to be unique; and with a plethora of choices available, you will never be hard pressed for selections. Solidify your love with these uniquely crafted engagement rings for men that cover everything from simple to stunning and everything in between. 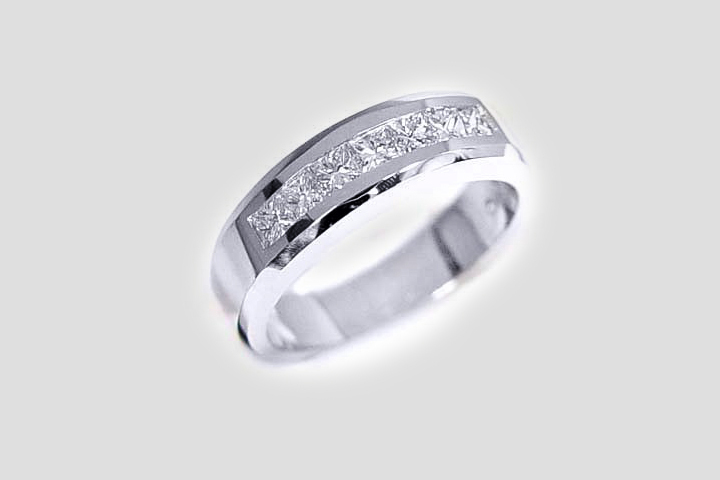 A stylish modern ring with an overall matte finish that is teamed with shiny border on the outside, and diamonds encrusted in the middle. 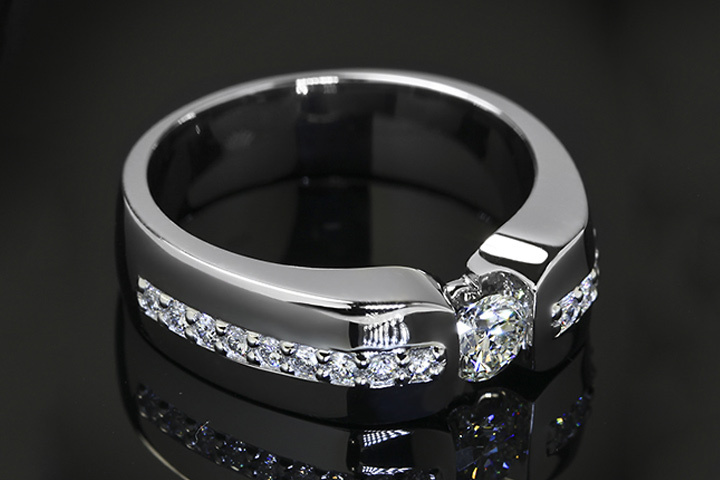 A classy engagement ring with a unisex design so the couple can get a matching pair if they so desire. The A piece of jewellery that’s meant for royalty – with an exquisite string of diamonds set into a pure platinum engagement ring, this ring is exquisite, classy and grand. Crystal clear diamonds and a very slickly finished engagement ring for those who aren’t on a budget. 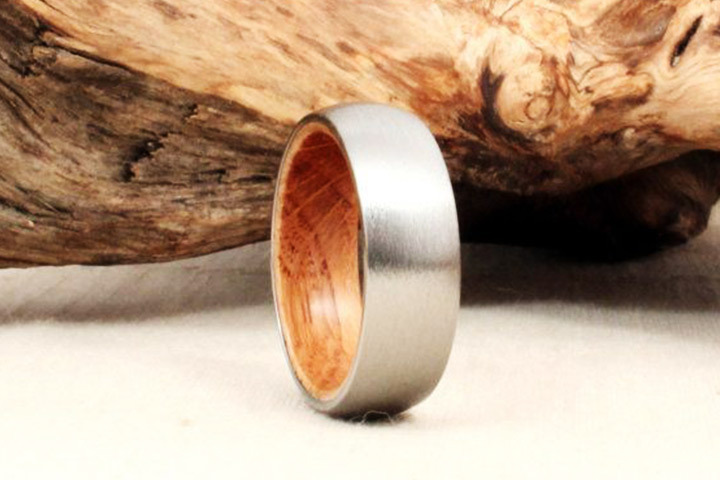 A wood empanelled ring for men with polished platinum accents for the border. Stunningly bold with a mature masculine design. This ring has a character and a unique identity of its own, a design theme where style and substance go hand in hand, just like the two of you. This is an engagement ring like no other. 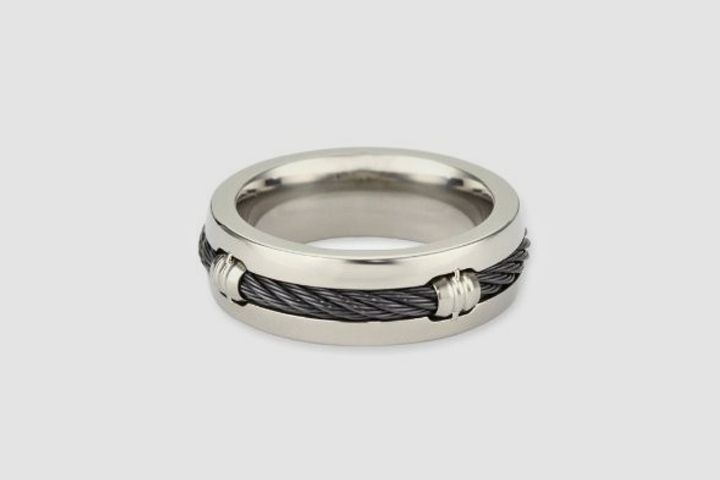 A grey titanium barrel shaped ring with a dark metal memory cable running through the length. A grungy but futuristic design for your stylish modern man. A design inspired by the rustic texture of an aged tree with extra smooth finish (for your comfort) on the inside. 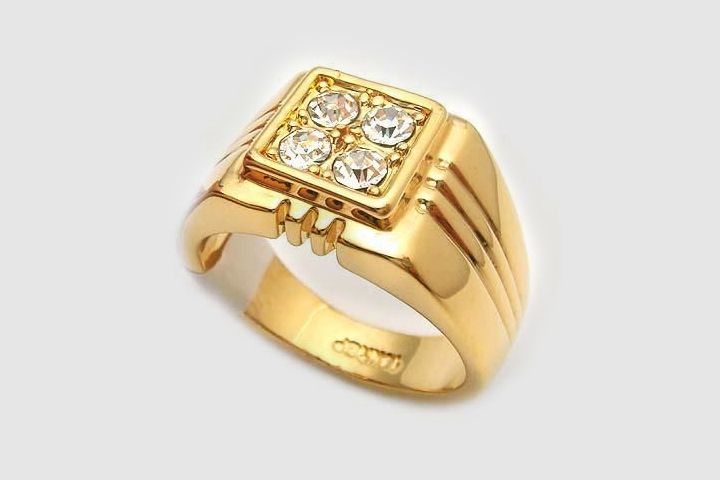 This pure gold ring is super light to wear and makes a classy statement. 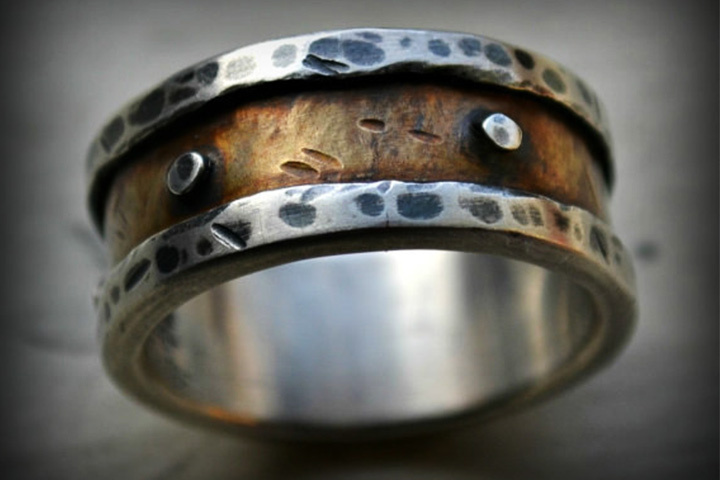 We hope you love the apparent weight of ages as well as the design that’s inspired by the texture of an old tree trunk. One of the classic engagement rings for men. This Titanium and Jack Daniels Whiskey Barrel White Oak engagement ring is the perfect choice for the liqueur connoisseur knight-to-be. Classy metal on the outside and a soft comfortable specially aged white oak wood panelling on the inside. 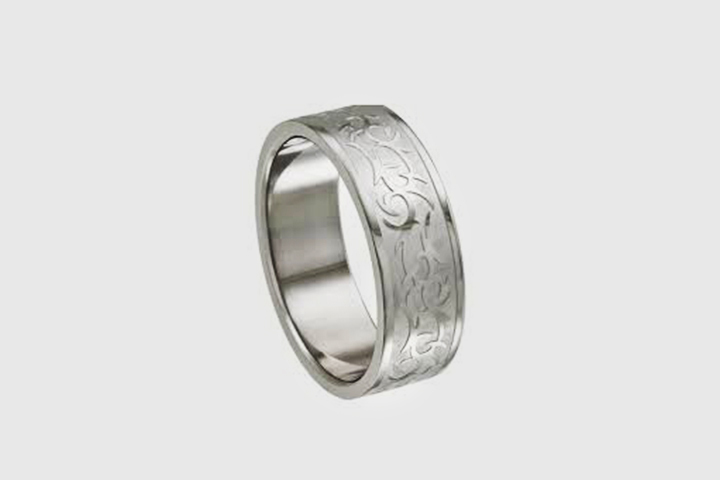 This ring is as smooth, fine and classy as the iconic Jack Daniels Whiskey. A 3-D tribal inspired laser cut engagement ring in the metal of your choice. 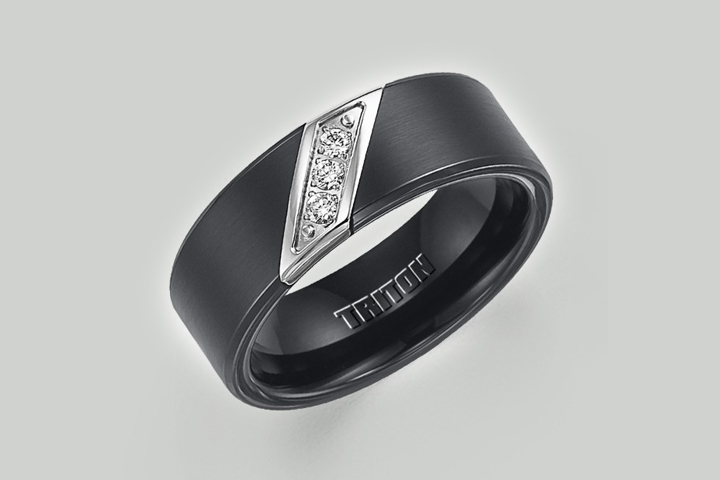 A very popular modern man’s ring that is can be instantly purchased online by couples on a quick-wedding mission. If your engagement’s on-the-go, then this is an off-the-net choice you can look into. 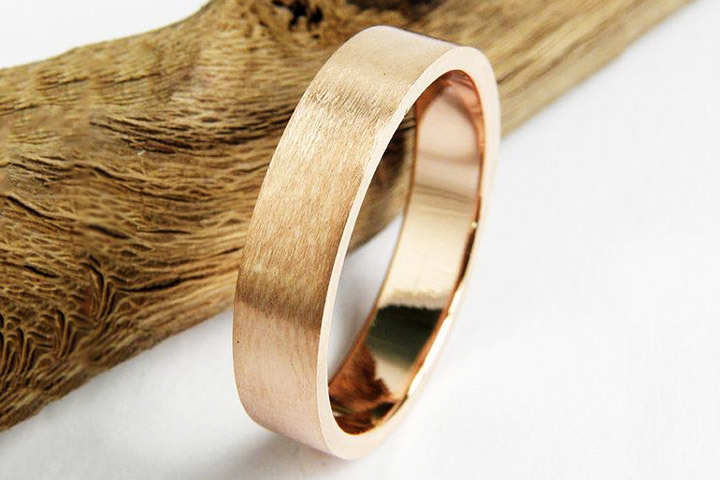 A very unique design with two silver rings fused together and a rose gold loop wrapped around makes for a stunning appearance. 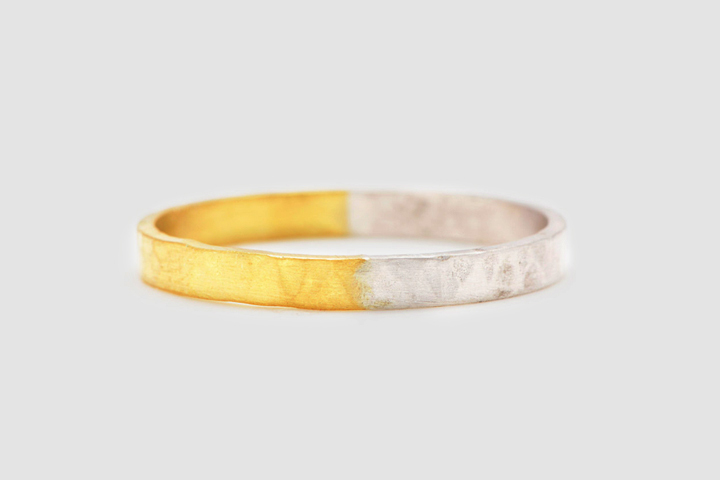 A symbol of how love binds two souls together, this unisex design makes it easy for the couple to have a matching pair. 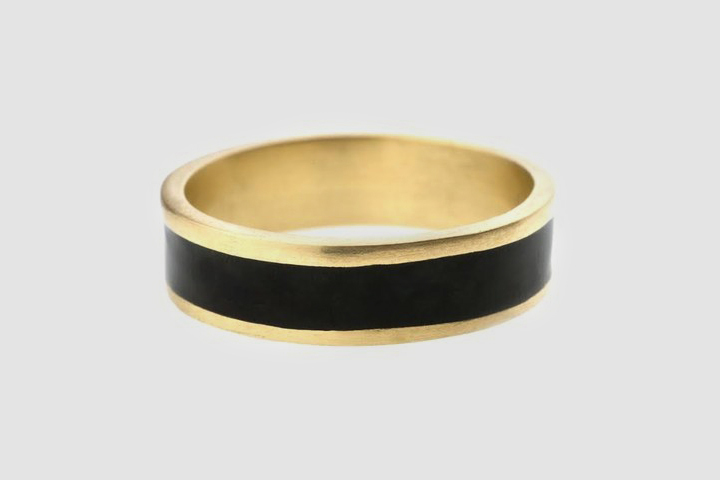 This yellow gold engagement ring set in a dull black enamelled military grade glass is a stylish and off beat groom’s ring. It is subtle yet stylish, delicate yet tough, a contradiction of sorts that gives it a unique character. A very irregular square shaped hand crafted ring in white gold with your initials on the inside. 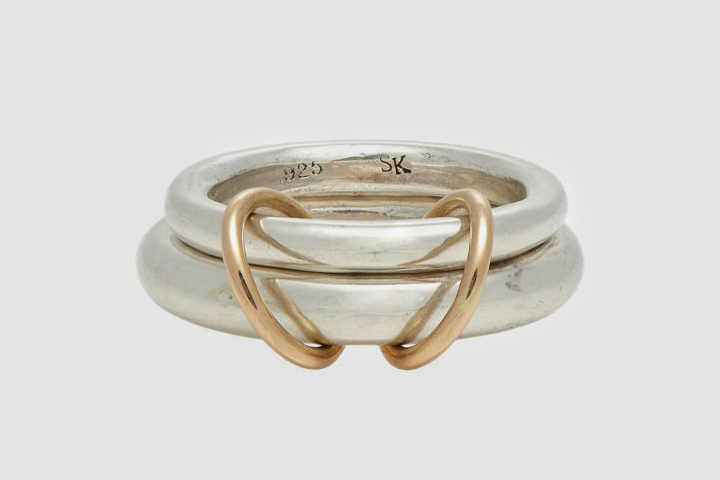 A very gruff finish with a uncommon shape is what makes this ring stand out. This is a very unique ring made with recycled and brushed sterling silver, having a very rare black diamond set in the middle. It doesn’t attract attention till you take notice and when you do, it’s hard to steer away. The design and the black theme carry a charm of their own. 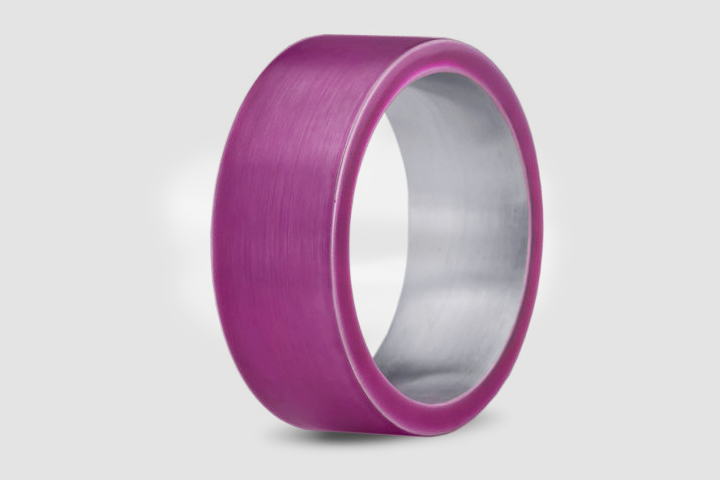 This purple ring in cobalt will make sure everyone notices you, wherever you are. 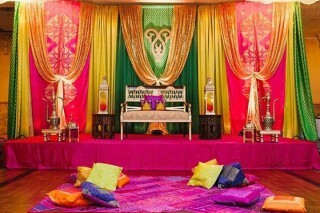 The design theme is for those who love being at the center of all the attraction. An engagement ring for the colorfully adventurous man. 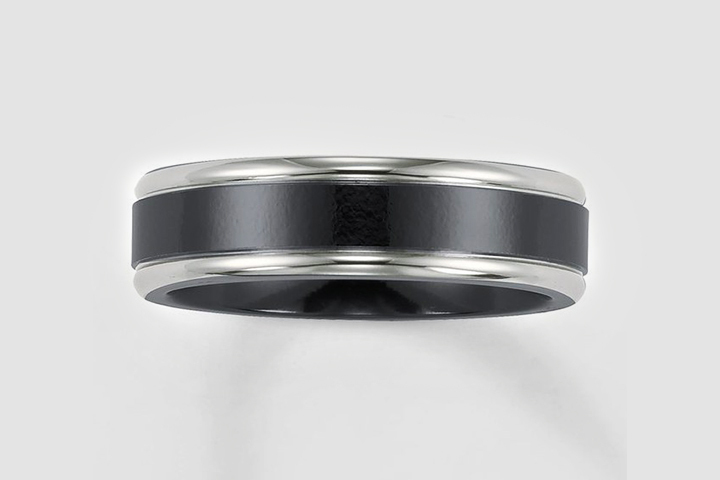 This black titanium ring with a glossy finish is ideal for the groom with a simple and stylish style. If that’s what defines who you are, this is the ring for you. 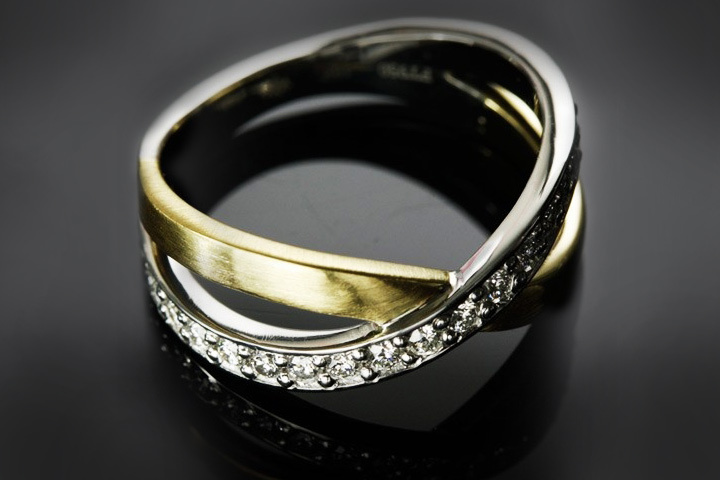 A very special and innovatively designed ring that is half made in silver and the rest in gold. Very bright, very cool and very stylish. 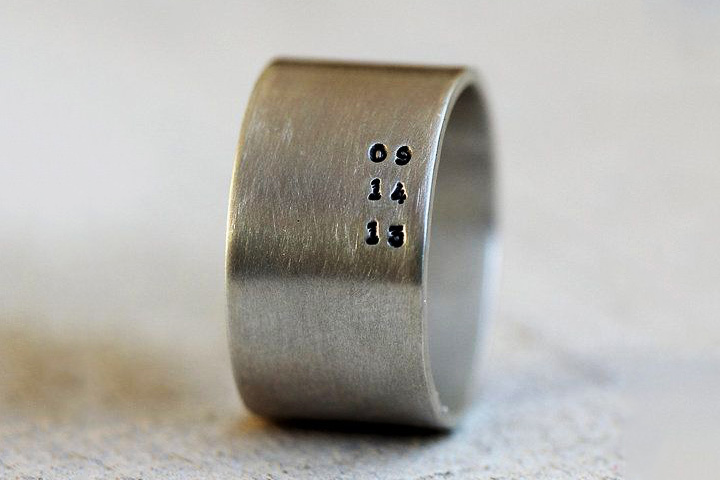 This is a super slick unisex ring that both the bride and groom can get for themselves. A very special ring for a very special man. This navy blue silicone ring still gets the job done for men who cannot wear a traditional or a metal ring due to various reasons. 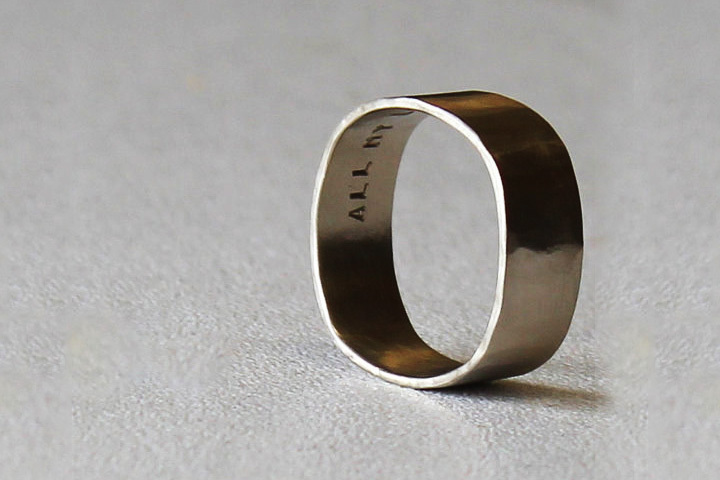 This brass and silver ring is unique not just in its style and design but also in the materials it is made from – pure silver and brass. Very old school and actually traditional, just like how our forefathers did. 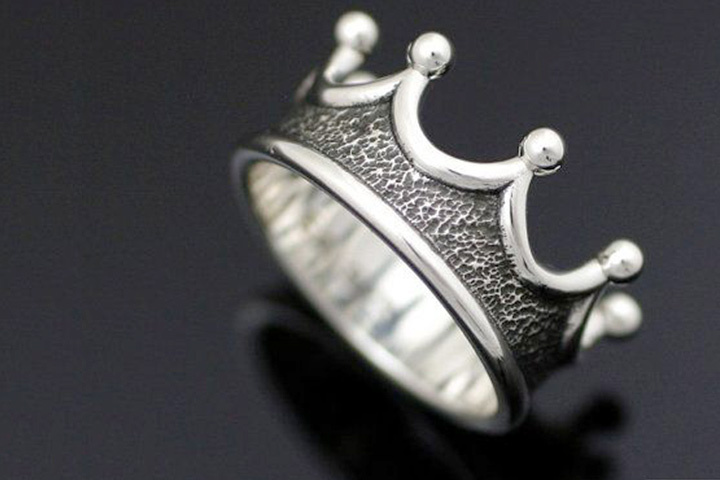 If feeling like a Knight isn’t good enough, here’s the Crown shaped ring that will truly make your husband-to-be feel like a King! This ring can be paired with a similar looking crown for the lady too. A fun and light hearted design for the humorous souls. Can be made in the metal of your choice – silver/gold/platinum. A very exuberant leopard print engagement ring for the ones who are wild at heart. 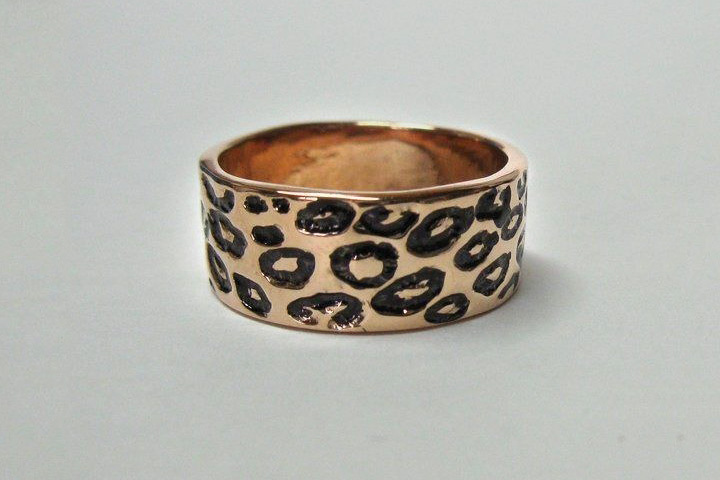 Made with pure rose gold, this ring is truly for the George of the Jungle. 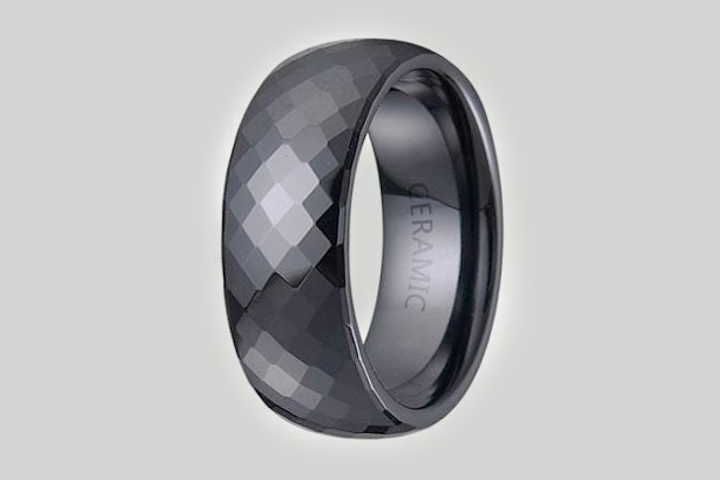 A very modern, stylish and sophisticated black ceramic engagement ring with a faceted profile and high gloss finish for uber cool groom-to-be. For the most modern man in town. A very simple design in whatever metal you choose. What sets this part is the personalised date engraving on the ring – which could be your engagement date or the day you met. Simple, stylish and hits the right chord. This is the coolest ring a superhero fan can have. 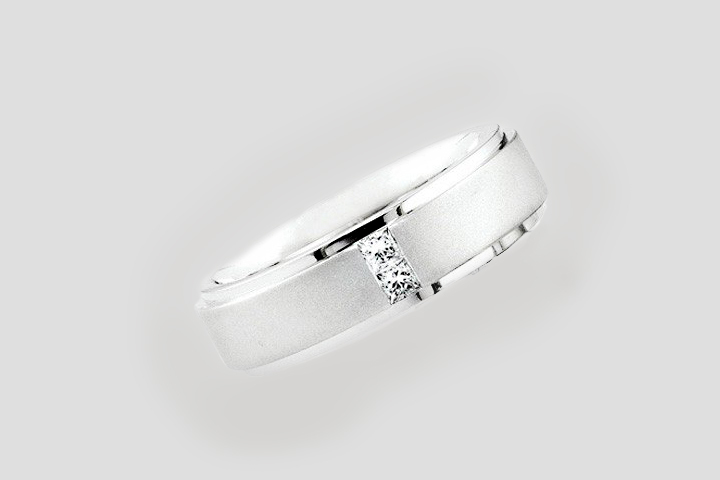 The groom and the gang will be pleasantly surprised with this pure tungsten and 925 sterling silver wedding ring. 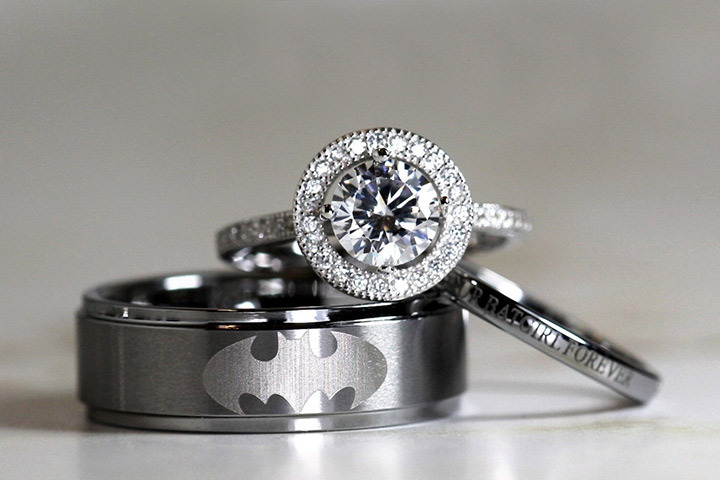 So if your partner is your superhero, this is probably the most lighthearted way to let him know that he is your Batman. 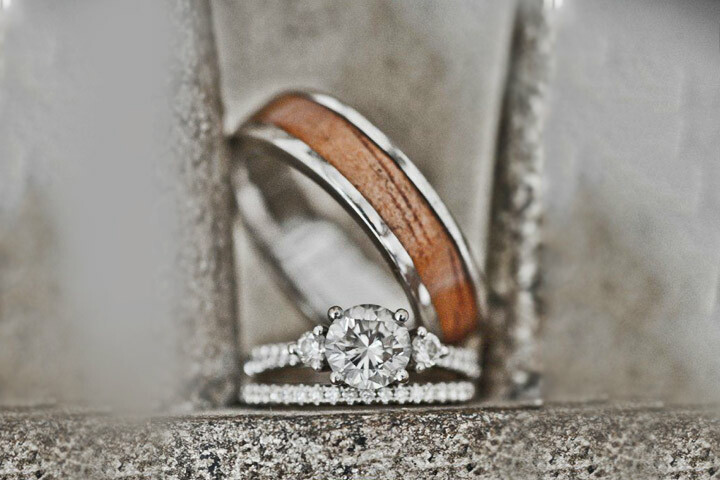 A collection of beautifully made, hand crafted engagement rings for men from the House of Northwood. 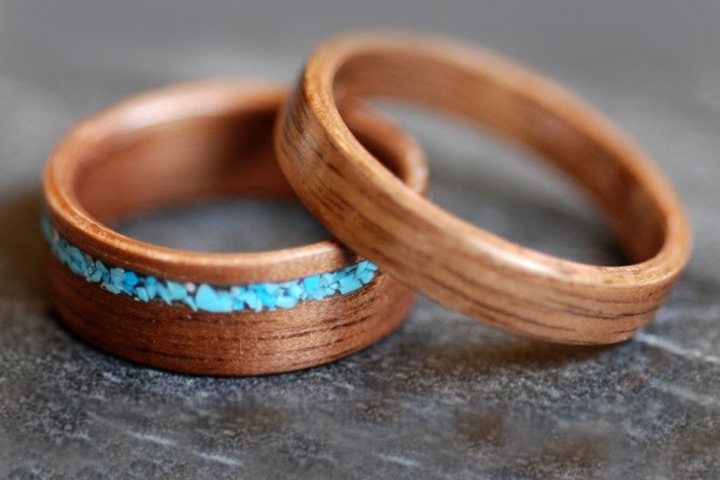 These rings are rustic, off-beat and very ruralist in design, texture and feel. An engagement ring that holds a character of its own, a superb ring that truly is different and makes you stand out. 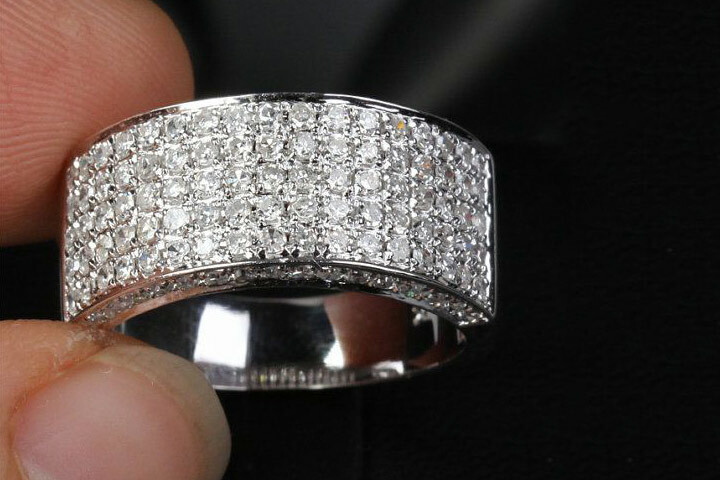 A stunning white gold pave wedding diamonds studded all over. This engagement ring is expensive, elaborate and exquisite.In case you want to know, the gold is 14kt pure white and the diamonds are the finest examples of 1.35ct that you’ll find in the market. 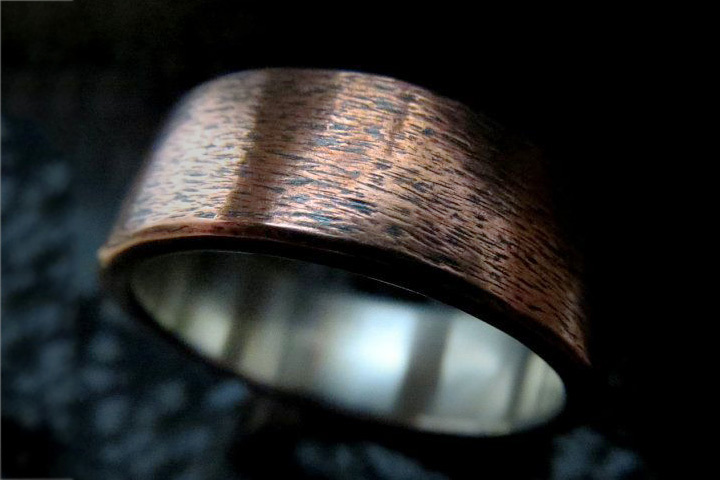 A very unique steampunk custom designed ring thats rustic in texture with copper on the outside and silver in the inside. A simple design that standouts because of its color combo and a unique textured treatment, a ring worth considering. 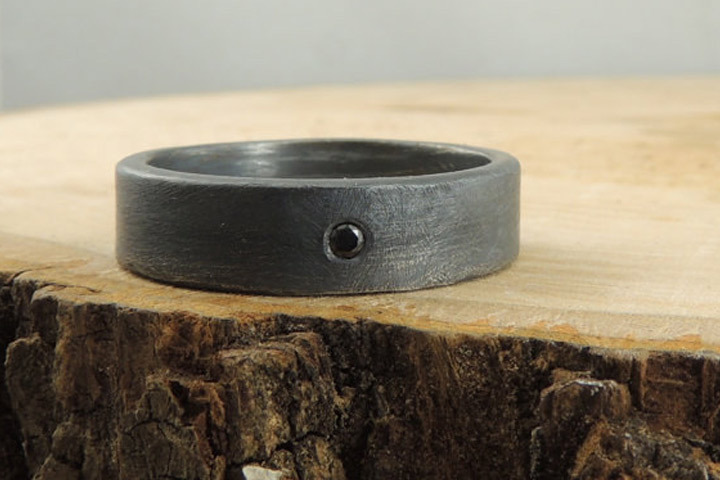 A very blunt black ring with a matte finish. This ring has a diagonally placed diamond set that’s encased in a pure platinum shell. A ring that’s different and a perfect choice for someone who can carry it off. Classy for sure. This is a ring that’s intricately sophisticated. With a customized 0.70 ct “A Cut Above” trademark hearts and arrows diamond melee that is encased along the shank, the platinum ring also boasts of a 0.40 ct whiteflash diamond cut on its crest which is secured by a half bezel setting. A very fancy engagement ring for the super stylish groom. A superb design which blends two of the most precious metals into an exquisite design form. 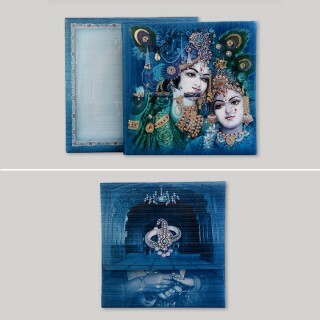 Diamonds on the facade only add to the grandeur of the whole piece. This engagement ring is differently styled yet very eye pleasing and off beat. A choice you won’t regret making, a ring that will forever be a showstopper. One for the gold lovers, a very classic design setting of four diamonds on a square head. With exotic diamonds, a pure gold body and a stylish platinum band infused on the side, this ring is classic and yet has enough modern touches to make it look very cool. A perfect choice for a man who wishes to subtly standout and make a statement, but look almost regular on his engagement day. A very slick design this. With red coloredrubies and Whiteflash’s ACA round diamonds alternatively placed to make the facade look fantastic, this engagement ring in pure platinum is beautiful, stylish, modern and light. 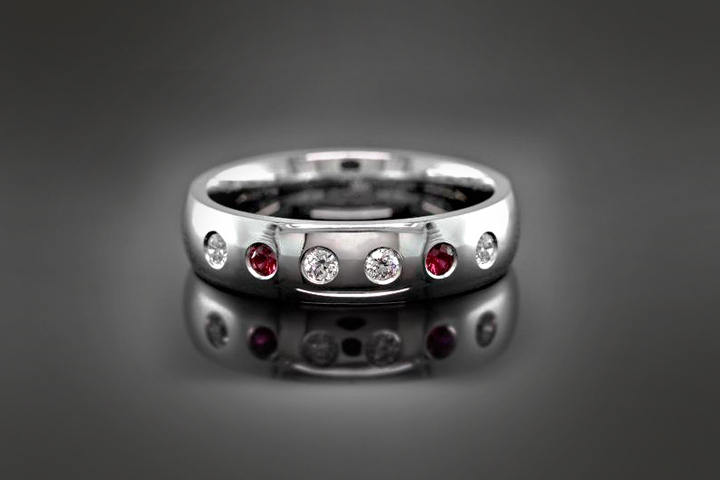 A very modern ring for a very modern groom to be. The title says it all. 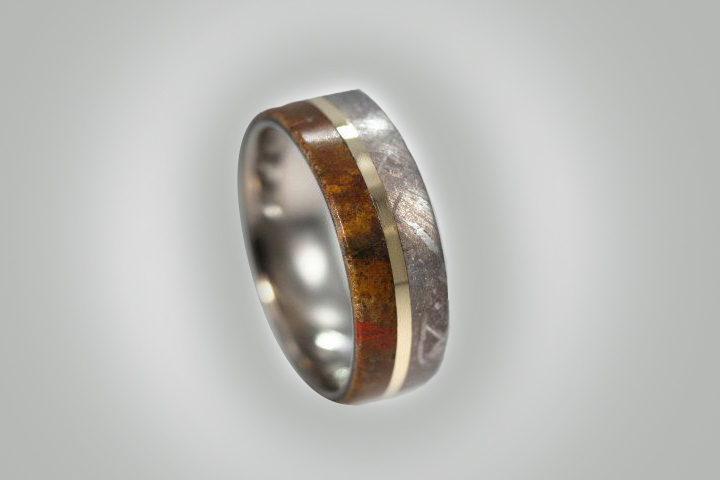 An exotic ring for the adventurous guy! This rare meteorite ring with an even rarer dinosaur bone band infused together to make an engagement band / ring, not only looks very very cool but both these rare and precious materials really complement each other to make this ring look very beautiful. An off beat choice in the truest sense of the word.